Sunday afternoon the Philadelphia Wings (3-14) were embarrassed by the Vancouver Warriors (5-11) 19-11. This was Philadelphia’s second game in as many nights. Saturday night they fell to Saskatchewan after allowing the Rush to outscore them 7-0 in the final quarter to turn an 11-9 deficit to a 16-11 victory. Philadelphia started quick on Sunday, scoring in the first 17 seconds of the game, but then it seemed like someone forgot to tell them to keep playing. 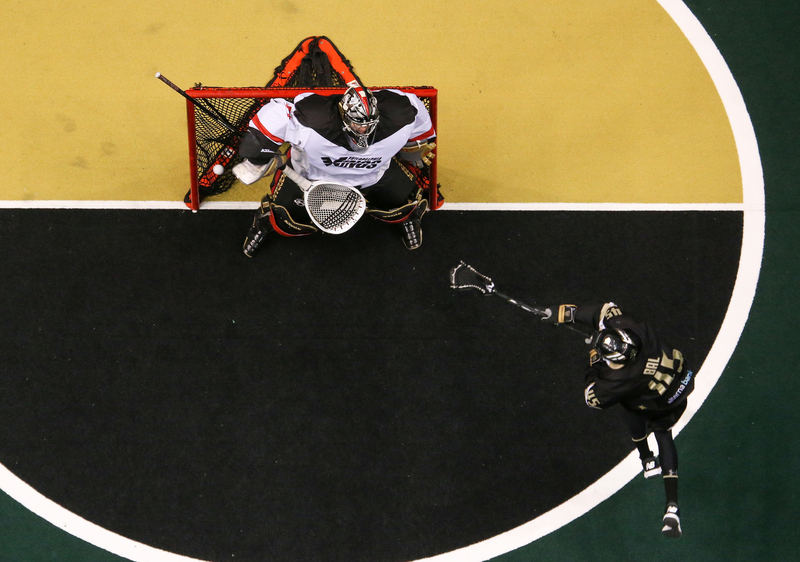 Vancouver would then go on a nine-goal run in the opening quarter, a team record. After the first quarter all the Warriors had to do was put themselves on cruise control. Vancouver is still mathematically in contention for the final playoff spot. They have to defeat Rochester and Toronto while Colorado has to lose to San Diego and Saskatchewan in order to secure fourth place in the Western Division. Keegan Bal was the star for the Warriors on Sunday, scoring a season high 14 points (5G/9A). Veteran goaltender Aaron Bold was the other story as he stopped 61 of 73 shots. Bal recorded a hat trick in the first quarter while Jordan McBride and Mitch Jones scored two goals each. In the second, the Wings’ defense tightened up, allowing Vancouver to only score twice, but Vancouver’s defense was even tighter, just allowing one goal, as they did in the first. The Warriors took a 11-2 lead into the locker room. The Wings’ offense came to life in the third scoring five times, including a three-goal run mid period, but the problem was that they couldn’t stop Vancouver as they matched the Wings with five of their own for a 16-7 lead. Kiel Matisz and Kevin Crowley each had a pair for the Wings. Crowley reached his 600th career point in the game. Philadelphia would continue to struggle on the power play, converting only once on four attempts. The penalty kill wasn’t much better as they allowed Vancouver to convert five out of six attempts. Vancouver also scored shorthanded. Bal (5G/9A), Jordan McBride (5G/3A), Mitch Jones (4G/6A) and Logan Schuss (3G/6A) led the Warriors’ onslaught. Kevin Crowley (3G/2A), Kiel Matisz (3G), Jordan Hall (1G/4A) and Matt Rambo (2G/4A) led the Philadelphia offense. Doug Buchan, who went most of the way for the Wings, stopped 27 of 42 shots faced, and Gowah Abrams stopped eight of 12 shots faced as he replaced Buchan for a spell in the first half. Trevor Baptiste needs six faceoff wins to set the all-time league single-season record. He currently sits at 333. Jay Thorimbert set the record in 2015 with 338. Baptiste already smashed the rookie record held by Jake Withers of Rochester who won 279 last season. The Wings, who were eliminated from playoff contention April 6th, will try to get a road win this Saturday in their final game of the season as they travel to face the Georgia Swarm.